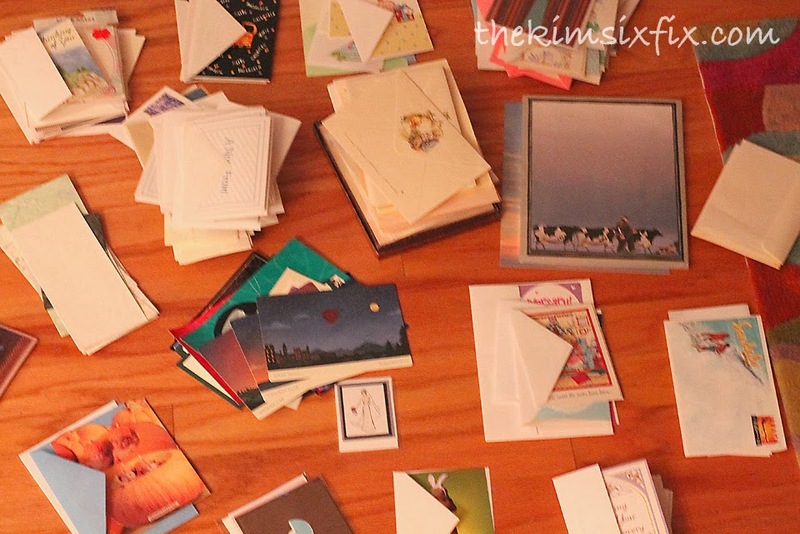 In the spirit of spring cleaning, I decided it was time to finally sort and organize my giant greeting card collection. Yes, I am one of "those people" who buys greeting cards way in advance so I don't have to make a special trip to the store for ever birthday, wedding, death etc.. I had been storing my cards all together in a couple of drawers but it was always impossible to find anything. 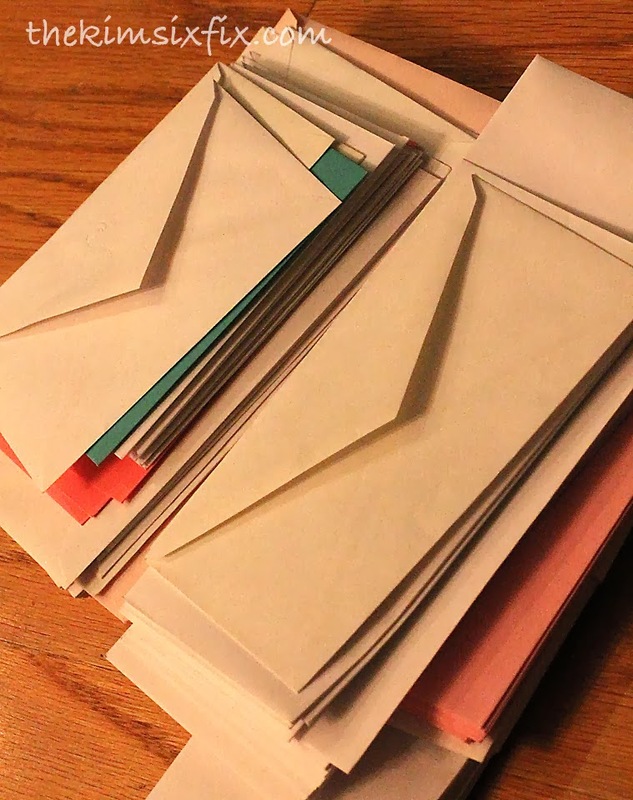 I also took this time to make sure every card was nested with a matching envelope. This was HUGE since I realized that I had dozens of extra envelopes. 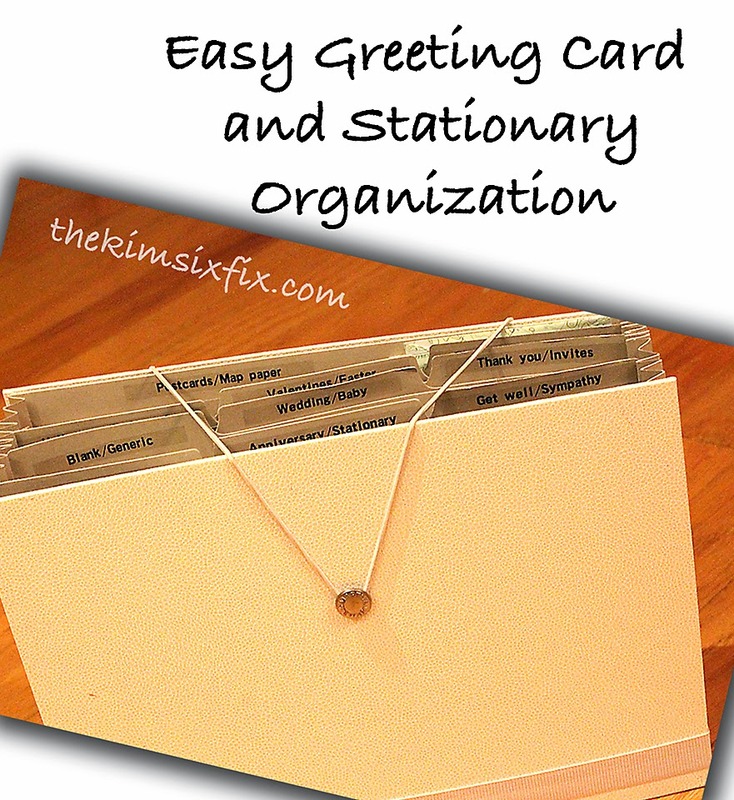 Often stationary or card sets will come with one additional envelope that never gets used. I also had extra envelopes from leftover christmas cards and even more from cards I included in a package sans envelope. Well over the years, all those extras had started to add up. I found this accordion file on sale at Staples for less than $6. This one happens to be a Martha Stewart brand, but any kind will do. 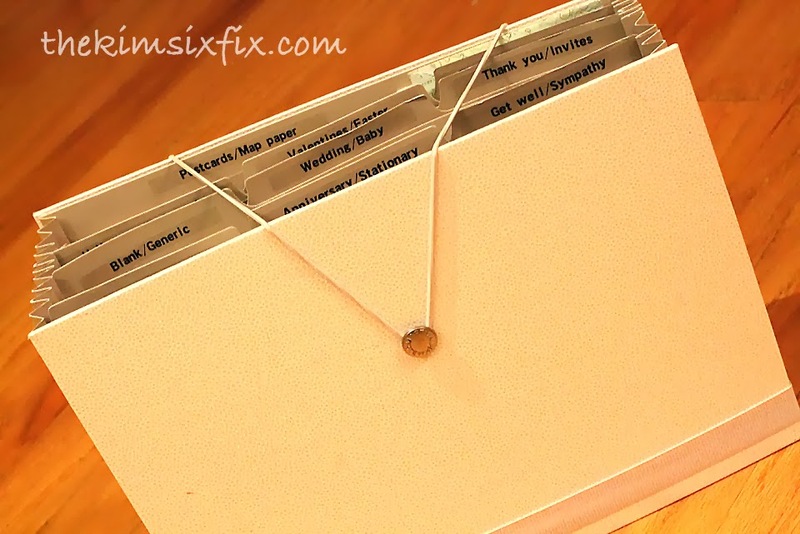 Depending on how huge your card and stationary collection is, you can find files with larger numbers of pockets. Now that everything is sorted and organized it is so much easier to find exactly the card I want. 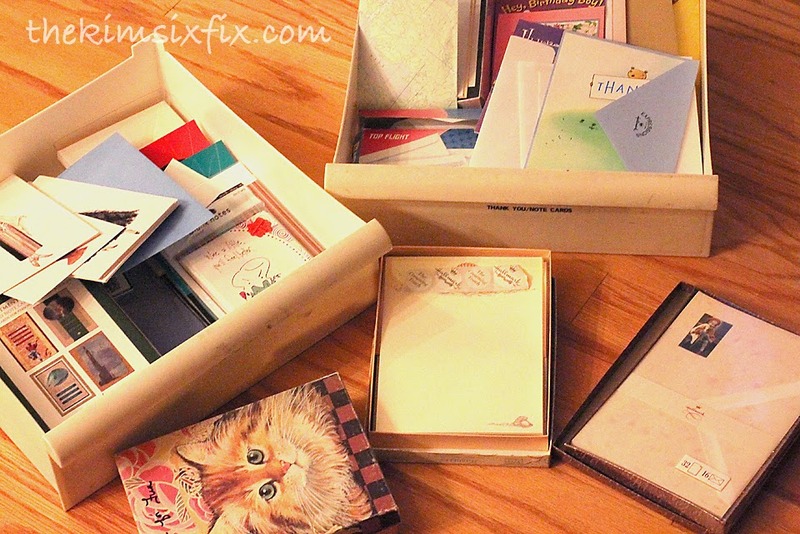 I also have gone from two full drawers of cards and stationary, to a single accordion file. 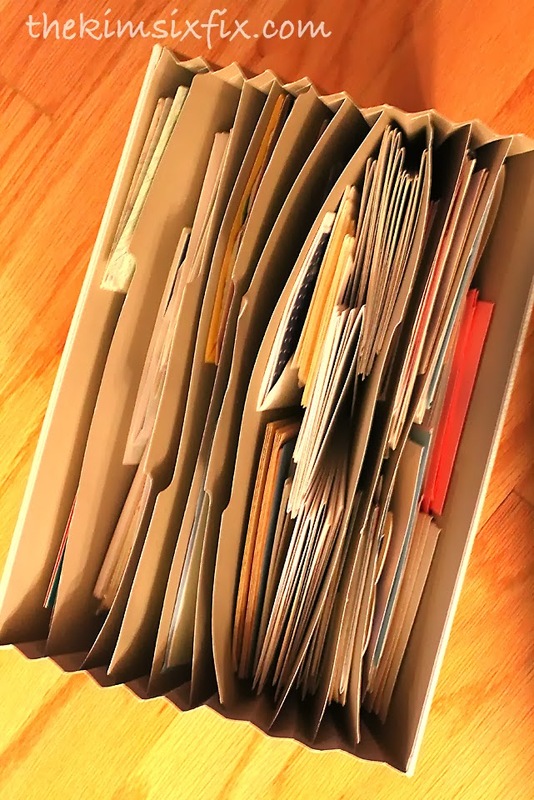 The entire process of sorting, purging and filing took less than 30 minutes and cost less than $6. Now if organizing the rest of my house could be that easy!! 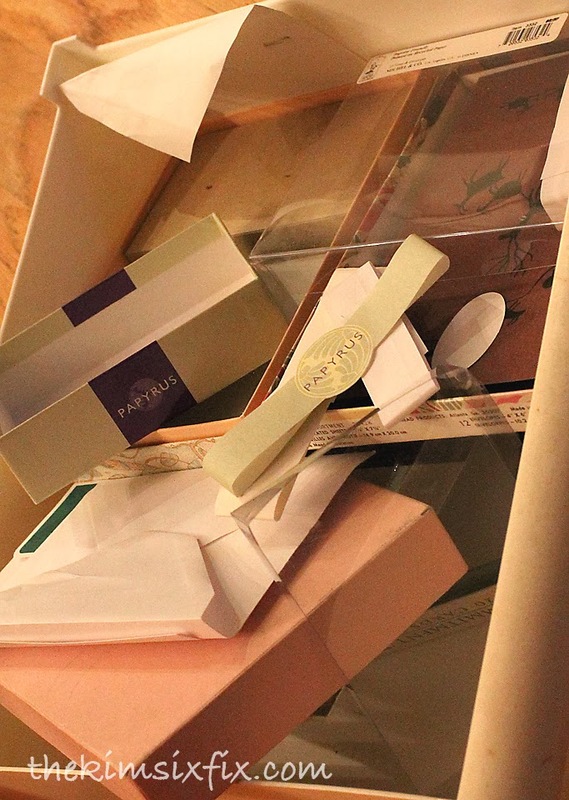 Do you have any other suggestions or methods for organizing the paper clutter in your life? Please share them in the comments.